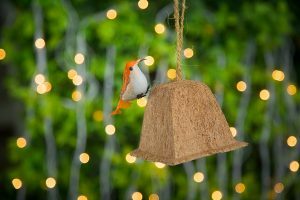 Contact us to get the eco-friendly products from the leading manufacturers of coir products Ecogreencoirs. Environmental friendly lives are possible in an individual or in business lifestyle. Everyone has a role here and it is important that people realize that role and act their part. As every individual are obliged towards getting a job for them, let us start contemplating the ideas that could support a business friendly environment. While we say business friendly environment, we mean the products that could empower the eco-friendly business and also provide a scope for the betterment of our planet. We at Eco green coirs have introduced an eco-friendly range of products as alternatives to plastics, beginning with products fashioned from coconut shells. We are strong believers in sustainability, and conscious about minimizing health and environmental hazards to all our stakeholders – from employees to the end-customer. With reduction of plastics and implementation of eco-friendly products into our lifestyle, we are on a mission to reduce the carbon footprint on our planet. Our products range from ice cream cups made out of coconut shells to reptile huts and bird feeders that are again from these shells. Every product is carved to an extent that it is completely natural, reusable or recyclable, budget friendly and above all supports the environment to a large extent. Apart from the business outlook, there should also be a sense of responsibility amongst us to realist the hard truth that’s before us about our “environmental conscious lifestyle”. There is a huge climatic change problem staring before us along with the other problems such as global warming and melting of the glaciers. All these issues cannot be tackled by the governments alone, and the citizens of every country need to take some concern over it. Starting with these eco-friendly products for our everyday life, conservation of electricity and water, tree planting, trying to reduce the level of carbon monoxide, buying reusable or recyclable products are some of the measures that profit our future generation to lead a sound and healthy lifestyle. As long as we have a sense of responsibility in us, we can try and prove to a great extent that at least for million years to come our planet will not face any major disasters that could destroy the human kind.